I finally got around to watching the razor advertisement that has so many people worked up. I didn't think it was too bad, only a little insulting in the assumptions it made. But not very. I've known men like those portrayed negatively. But I also don't think all the behavior portrayed in a negative way is entirely negative. Not if I believe the species should continue. Perhaps that's the quibble. If I had any of that company's products, I wouldn't toss them out over the ad. But I also wouldn't rush out to buy them in support of the company. Not that I'm in the market for a razor. I've never even used a modern safety razor (is that what they are called?) I have the same electric Norelco I've used a couple of times per week since my 17th birthday. I also shave with my knives sometimes when I'm bored. 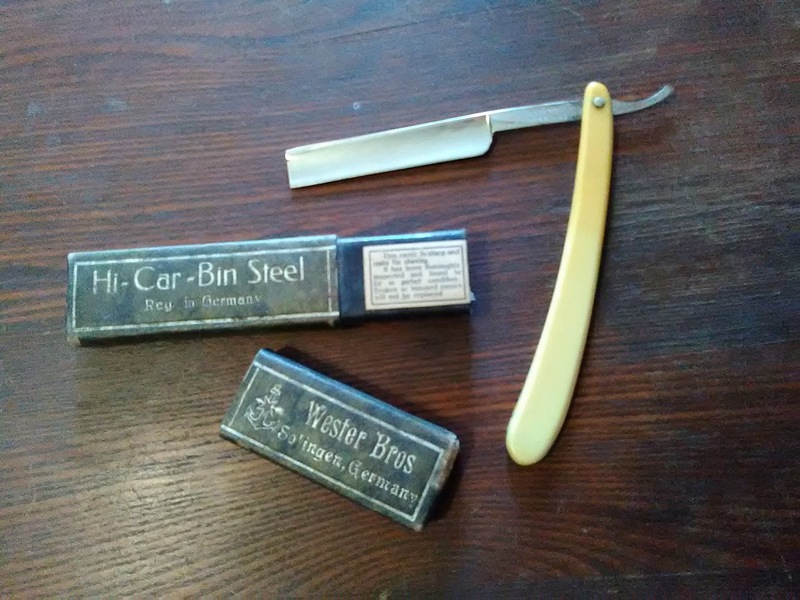 Once or twice I've even used an old straight razor which belonged to my great-great-grandfather (which is the razor pictured above). As a way to connect with family history, I guess. The ad in question is just a case of a big company trying to look all SocialJusticy and score points with people who aren't even its customers. Probably not the smartest move, but not suicidal, either. Reminder: I'm on the razor's edge and could really use some help.